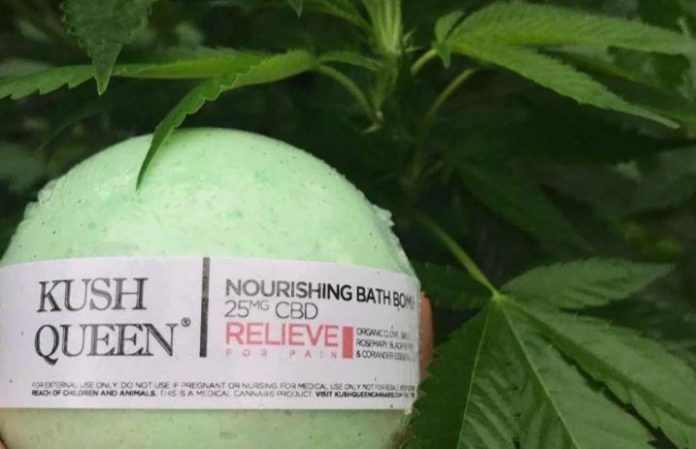 We didn't think bath bombs could get any better, until we discovered weed bath bombs. Now we truly don’t think these can be topped. With weed beauty brands popping up across the market, it's clear these might just be the next big (and most relaxing) thing. The most recent bomb to make waves is the one developed by Japanese skin and body brand Mirai Clinical. They're handmade from all-natural ingredients, including shea butter, coconut oil and CBD oil. CBD, aka cannabidiol, does not have the intoxicating, psychoactive effects as those caused by THC in marijuana, but it is used to help with pain relief and anxiety relief, making a CBD-infused bath bomb the perfect for relaxing after a long day. And De La Beuh's CBD bombs. Not to mention, Witch Baby Soap's hemp oil-packed bombs. BRB as we go take a dip with a weed bath bomb for one of the most relaxing bath experiences that we'll ever have. Will you be picking one up? Let us know in the comments below!